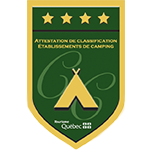 Just 30 minutes from Montreal, the Terrasse St-Marc campground is located near the banks of the Richelieu River. The recreational committee is responsible for organizing exciting activities throughout the season! See our Activity calendar to know everything. just 30 minutes from Montreal.